The grooving machine TRINU has three tools arranged staggered or simultaneous. The flexibility of adjustments on three axes and the angle makes it possible to have any groove wider and/or deeper. Up to three grooves can be drawn into the strip surface with a max. distance of 10 mm (0.39″) (in case of three grooves) or 20 mm (0.79″) (in case of two grooves). A basic oil grooving line is composed of a decoiler, a recoiler and a TRINU grooving machine. 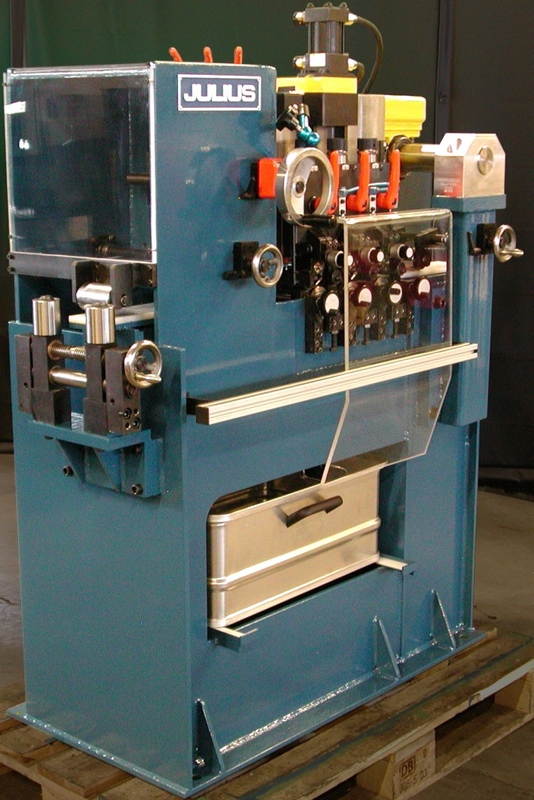 The line can be completed by a flat levelling machine, a vertical levelling machine, a brushing machine and different modules of strip edge trimming.